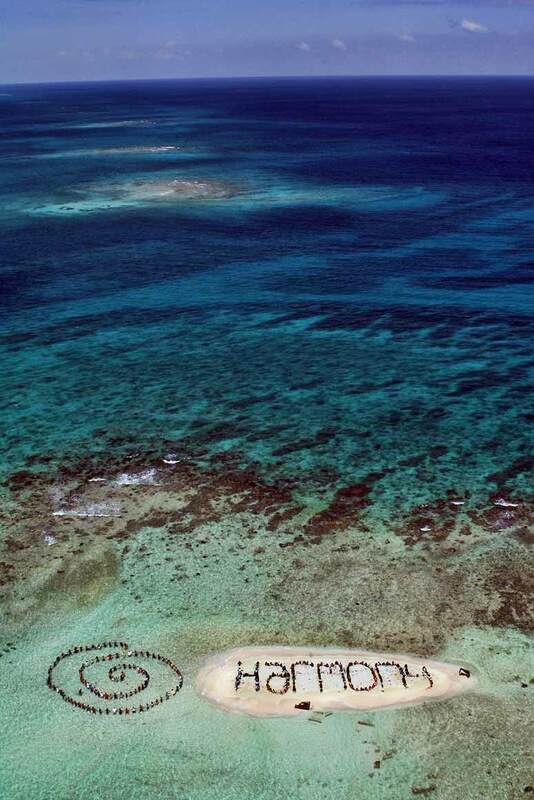 Hundreds of Belizeans and international supporters gather on an island on the Barrier Reef off the coast of Belize City, Belize, on November 13, 2010. to form a human banner calling for humainity to be harmony with our natural world. The action was on the final day of the three-day Belize Reef Summit and is part of the launch of the Harmony Initiative, a partnership between the film "Harmony" narrated by Prince Charles, and the Global Campaign for Climate Action. It was called an aerial art event as 250 people gathered on Sergeant's Caye on Saturday to send a message to the world about conservation. And when we say "send a message" we mean it in the literal sense - as they gathered under the merciless midday sun for one and a half hours to create a human formation that spelt out the word "harmony." Dr. Melanie McField was an organizer and a face in the crowd. She told us more. "Explain what happened on Saturday morning?" "On Saturday morning we did the final day of this reef summit and what it was, was an aerial art event. 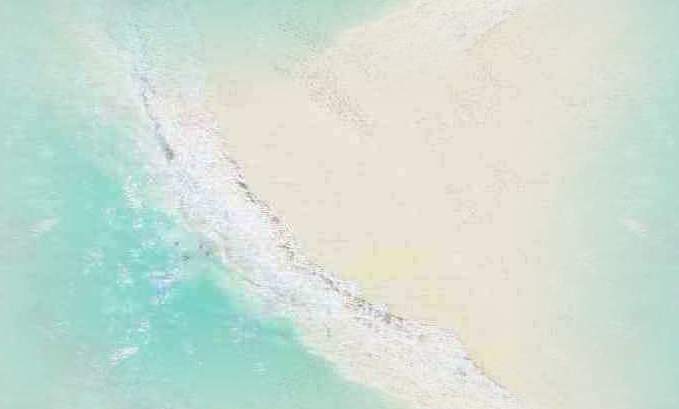 We had about 250 people that we shuttled out to Sergeant's Caye, what's left of Sergeant's Caye, just a tiny piece of sand surrounded by the beautiful turquoise waters and the coral reef and we spelt out the word "harmony" and next to the Caye in the water we had people standing and formed out the shape of a spiral. This idea is that we need to…the spiral is like a symbol of transformation and of change and we need to change the way we interact with the earth and to become more harmonious, like our energy sources and our waste and everything. So this is part of the message that Belize is sending to the COP UN Climate Change meeting that's being held in Cancun in about 3 weeks and so we are sending this image, one of harmony and our goal that what we aim to achieve is a new type of interaction with the earth and the way that we do things in a more sustainable manner and if we don't achieve that, what we also did, we unraveled the spiral and then we formed the words 'The End?' with a question mark. So if we don't change some fundamental aspect of the way that we run the planet, the business as usual scenarios in the climate change IPPC reports, business as usual will see the end of coral reefs by the end of this century, if we stick to that path, so that's the message we are sending to the COP, is it going to be the end? 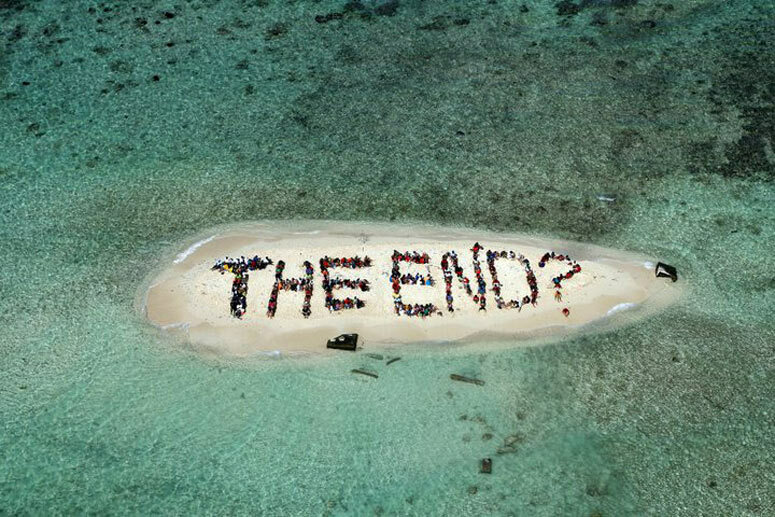 Here is this beautiful ecosystem, you can see it all around the 250 people that spell out the words 'the end?' and it largely depends on what happens at these global meetings and what kind of conventions and treaties can be signed to give incentives to switch our energy to more sustainable sources." Photographs by Lou Dematteis/Spectral Q/Handout. Video by Kurt Soderling.